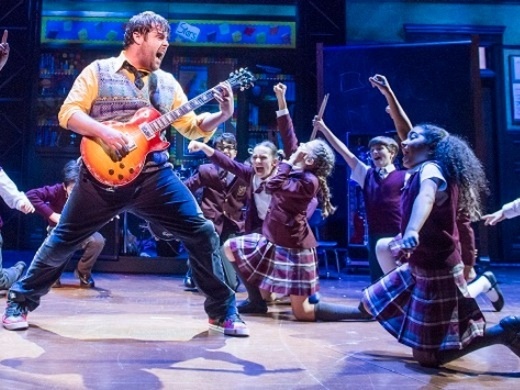 Andrew Lloyd Webber’s critically acclaimed Broadway smash-hit School of Rock The Musical is now thrilling London audiences at the New London Theatre. 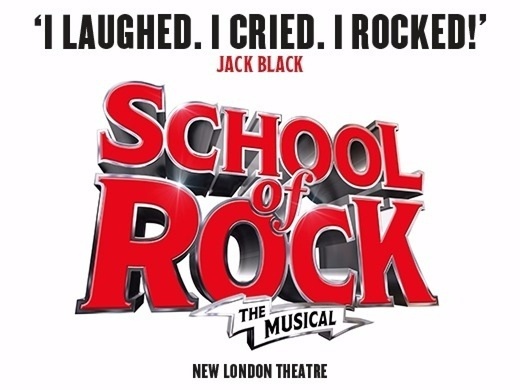 Based on the 2003 film School of Rock starring Jack Black, School of Rock The Musical tells the story of Dewey Finn, a down-and-out would-be rock star. 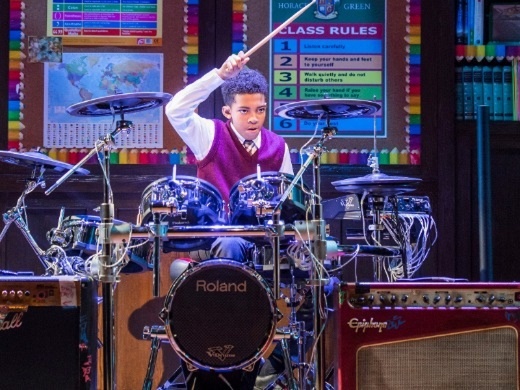 Posing as a substitute teacher at an elite prep school in an effort to earn some cash, Dewey soon realises that his students have some incredible musical talents. Uniting his fifth graders in one awesome rock group, he sets his sights on the Battle of the Bands. 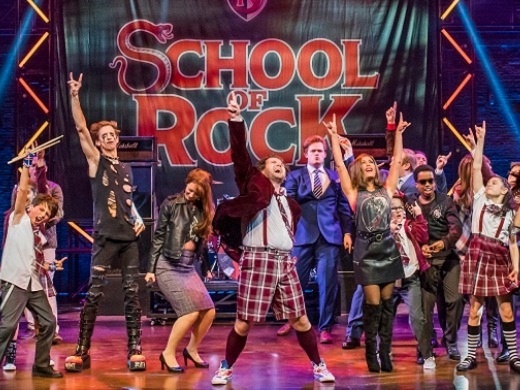 Recently nominated for a Tony Award for Best New musical, School of Rock The Musical’s sensational score full of pumping rock sounds has been singled out for particular praise. 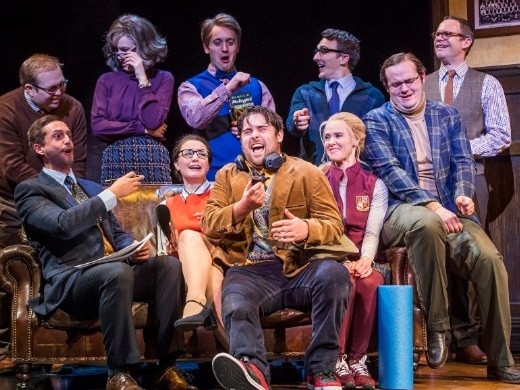 With its original score, including the songs ‘You’re in the Band’, ‘In the End of Time’ and ‘Teacher’s Pet’, its uplifting story and its robust sense of fun, this energetic new musical promises to be another West End triumph for music theatre legend Webber. Playing at the New London Theatre, the home of Webber’s original production of Cats, book your tickets today to this buzzing new musical. 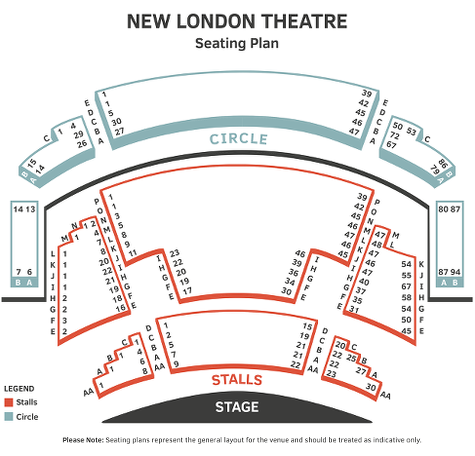 Current seating plans are not true representations of the final auditorium layout. Whilst we try to ensure accuracy as far as possible, we cannot guarantee that seat locations will not change when the show begins installation in October 2016. In particular, please be aware that some seating may end up closer or further from the stage than currently shown. Customers with specific requirements are advised to discuss these with the theatre prior to booking to avoid any confusion. WOW what a fantastic show and so full of talent, can't recommend this enough. Forgot to mark the star rating on my last review so reviewing again as it is definitely 5 stars. Fast moving great show for all ages. Didnt look at my watch once, a sure sign of a great show. The kids and "Mr. Scneebly" were fantastic. Lots of energy and enthusiasm. School of Rock is simply superb. Stick it to the man!!!! We came all the way from NZ to see this(well we were doing other stuff as well to be honest) and thought the show was incredible. Great cast, fantastic sets and excellent live music from the cast band and backup band hiding away in the balcony. Definitely stuck it to the man!!! !Loved it!!!! A brilliant show - blown away by the talent of the incredible young cast. Fantastic fun for the whole family. this was a fantastic evenjng, we both enjoyed every minute, the cast were superb and the kids were just the best, just outstanding !!!!!!! Absolutely fantastic for all the family great entertainment great music and great acting. Cannot fault in anyway and definate value for money. My two kids who went with me say it was a wonderful show with great actors, including the child actors, who they were inspired by. Saw the Sunday matinee yesterday and have to say what a great show. Despite the audience being a pretty lacklustre bunch (often the case with Sunday shows), the performances from the cast were nothing short of brilliant. The adult cast were outstanding, but it was the kids that were a revelation. Their acting and singing was wonderful and their playing of the instruments was astonishing. The show was up to the standard of similar shows in the West End like Matilda and Charlie and the chocolate factory. Less flamboyance and technical wizardry, but I don't think it's any less of a musical for that. The music was great and the songs were funny and clever, including a couple from the film. The only slight letdown was the theatre. It may have been refurbished and renamed, but it still showed its 1970's "style" with tired design and queues for the small loos. The auditorium really benefitted from its nicely raked seeking, but if you were close to the stage and not sitting in the middle (both the stage and seating were curved) like we were, we often could not see the heart of the action as there were the kids school desks on the front of the stage, obstructing the view. Saying all that, my sons birthday group left very happy, excited and singing along to the shows memorable songs. So a really big success and a show that I'd thoroughly recommend. It deserves a long run in the West End, so grab a ticket if you can. Just don't be tempted by a seat near the front if you can't get one that's fairly central. Show met our expectations! Brilliant experience all round! Nice voices ang guitar players. They really Rock! Seen this show for the third time, it's absolutely fantastic, a really feel good story. All the actors are great, kids are very talented, our seats were phenomenal with loads of leg room. Going again next month! Second time seeing this and was just as amazing!! Defo recommend. Really good show, it was funny all the way through and the boys acts where excellent. Great fun. High energy. If you like the movie, you'll love this. My 10 yr old daughter has loved the film for the last few years - could not wait to see the show Was above and beyond our expectations adults/teenagers also enjoyed it brilliant!!!!! Best show we've seen with our children, the child actors were better than all the others in Matilda; Charlie and the Chocolate Factory; Lion King. The fact they play all their own instruments is incredible. We just wanted them to do an encore! The finale was just like being at a gig. Just as good second time around! Will definitely need to see this a third time, just love it!! I took my three kids to this play and we all had a blast! The kids are very talented and they all play the instruments. The songs are very catchy and our favourite was "stick it to the man". Such a refreshing and exciting musical, the kids are insanely talented! It's a fantastic show. I smile while watching it. The music and the lovely kids make you happy. The performance is very professional and the kids are talented. We are here to rock!!! Fantastic show, lots of energy. The kids in this show are amazing! Brilliant show, it was fun all the way. Could easily watch it again and again. The children were very talented. pretty lame, nowhere near as good as the film. The kids are so talented! Music was great, characters were really funny and the lead was fantastic. Loved it! Absolutely loved it. The energy on stage was amazing and the talent goes without saying. You won't regret buying tickets for this show, the cast have so much energy and it's hilarous. Would recommend to anyone. this is my kids' favorite film (starring jack black) and this stage production is fantastic - the children are just amazing! Wow! Those children were amazing. Better singers, better actors than some of the adults on the West End stage and their musicality was a joy to listen to and watch. Some stars of the future among them. Their 'Supply (Music) Teacher' was brilliant and worked his socks off. The hundreds of school children in the audience at our matinee performance were all on a high towards the end, all the way through really. There was a standing ovation from all the adults too. Don't miss it! This is a most go see show. The kids are something else. So pleased I went. School of Rock - Rocked!! What a fantastic show! The actors were brilliant, so talented! I was in awe at the talent of all the cast. The dedication and hard work that they all put in just amazes me. The talent of the younger cast is outstanding and those that played the instruments blew me away! I took my 14 year old Grandson and he text his Mum during the interval to tell her just how brilliant it was, He is asking to go again for his birthday and Christmas! Well done and thank you to all.